A wonderful night under the stars in the small village of Tiebele - thanks to new my best friend the mosquito net! I have explored the Macchu Picchu in Peru and witnessed the tranquil peace of temples in Bagan, Myanmar. I have visited the bustling city of Dhaka, Bangladesh and I have seen the breathtaking Ajmer Palace in India. But I’d never been to Africa. And never yet to a country that ranked 183 out of 187 on the UNDP Human Development Index in 2014. So when arriving in Burkina Faso two months ago, I didn’t really know what to expect. Well, I am there now. And Burkina Faso proves both more wonderful and more terrible than I thought. I have talked about the great hospitality displayed by Burkinabe people. I could talk about the quiet beauty of the bush, of sorghum plantations disturbed only by a lazy wind. Of ladies riding their bicycle to the market in the scorching heat, of kids running after me with their big smiles, of the great cultural scene. Or I could talk about sadness. Life is short and fragile here. Diseases are plenty, and no one is spared. Malaria, dengue, typhoid fever? You name it. I arrived in Burkina Faso in September during rainy season, just the right time for malaria. My colleagues would get malaria, one after the other. Or their spouse, their children – so many. So did I. My new thermometer - an indispensible I forgot to bring! 39°1 Celsius is quite bad! I had naively thought this couldn’t happen to me. I am taking anti-malaria medication. I do sleep under a mosquito net. I use mosquito repellent. So I was stunned when I started developing a high fever which got diagnosed as malaria. I got treated well, and got cured in a week. But less than a week later, my colleague’s 8-year-old niece wasn’t so lucky, and she died. A month later, I caught dengue fever. I got cured in 10 days – but the 11-year-old niece of another colleague wasn’t so lucky – she died. This is life here. People are scared when someone gets sick. People were a lot more scared for me when I was sick than I was myself! Because this happens. Because you never know if you’ll be lucky this time – or not. And I am talking about people with access to hospitals who got treated. Just too late, just too unlucky. What about the thousands with no hospital close by? 214 million people got malaria in the world in 2015. 438,000 died. And even though it represents only 0.2%, it is still far too much. Luckily, the fight against malaria is going strong. From better access to treatment (access to doctors is now free in Burkina Faso for kids younger than 5) to developing genetically modified mosquitos unable to carry the virus, many initiatives around the world help reduce the spread of malaria. A local Burkinabé start-up, FasoSoap, is the latest addition to this fight. FasoSoap is trying to develop a soap that will be as efficient as chemical repellents against mosquitoes – but packaged as a soap. Changing habits is hard and often ineffective – well, here, people keep the same habit, they just change the soap. And with a price target close to any other soap, it should not create additional cost for families. 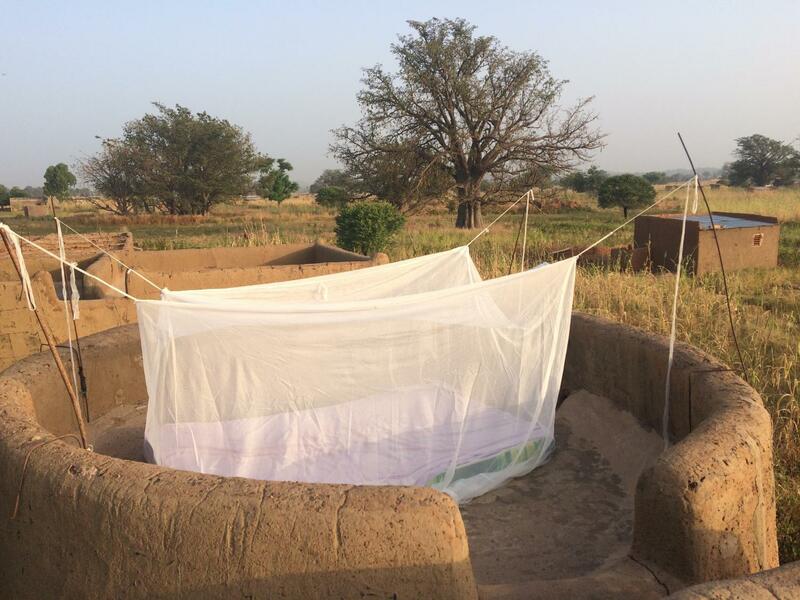 FasoSoap is currently finishing the development of their special recipe, tested at National Research Center against Malaria in Ouagadougou, Burkina Faso. The team is hoping for a validation by WHO next year followed by commercialization, starting with Burkina Faso and soon expanding to 6 countries in the region. Let’s wish them a lot of success! Such initiatives show that the virus of social entrepreneurship is spreading across West Africa: there definitely is reason to hope! Burkinabe have great energy and resilience! 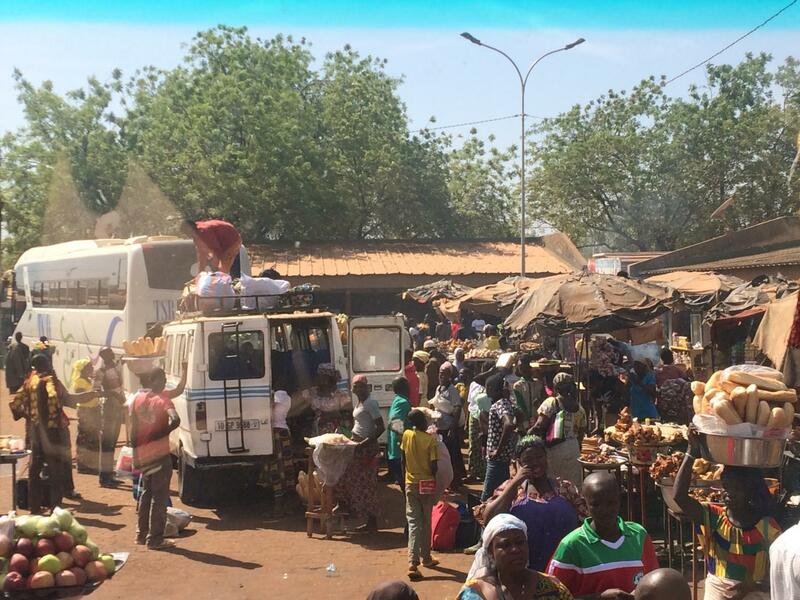 This is a bus station in Boromo, on my way to Bobo-Dioulasso, 2nd city in Burkina Faso! If you want to support great local entrepreneurs, you can help by lending $25 to one of our borrowers, who will repay his loan back to you in the coming months. Just follow the link https://www.kiva.org/lend?country=bf and meet borrowers from the 2 organizations MICROSTART and ACFIME. Having met with many dedicated and hard-working borrowers over the past 3 months, I can only confirm that they deserve your support! Florence grew up in Lyon, France and trained as an engineer. She spent 8 years specializing in supply chain and logistics, helping companies improve their operational processes and later managing operations in warehousing. 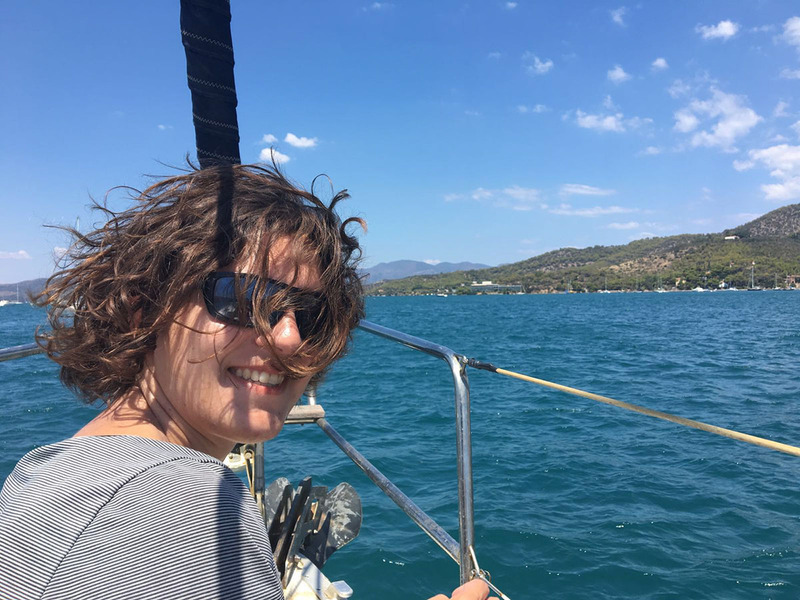 A first job in Singapore led her to visit Southeast Asia and revealed her passion for travelling, from the Chilean deserts to the jungle of Borneo. Discovering the world outside of her home country also fueled her growing interest for social impact. She spent 2 months volunteering in Bangladesh in 2012 where she discovered microcredit. Last year, she pursued her MBA at INSEAD, graduating in 2016, to gain a broader perspective and expand her knowledge of strategy and finance. In her free time, she loves snowboarding and kitesurfing.